Ellen McCormick has been writing education, family and religion-related articles since 2003. She has contributed to Mater Ecclesiae institutional publications, Circle Press and a variety of websites. McCormick has a Licentiate (a U.S. Master of Arts equivalent) in educational development from Anahuac University and a second in religious sciences from Regina Apostolorum University. Watching your toddler enjoy new foods and look forward to eating can be rewarding. 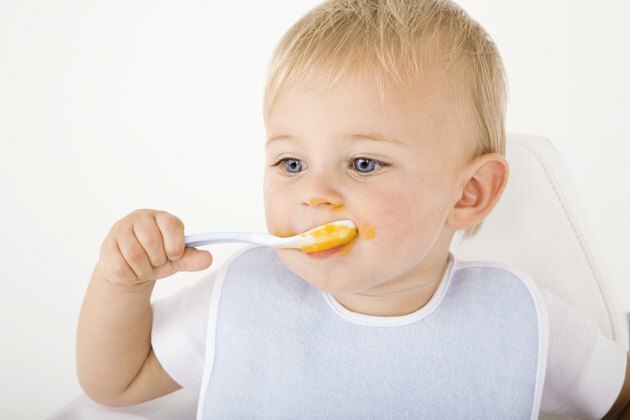 By the time your baby is 16 months old, he can eat most solid foods. Although your toddler might be a picky eater at this age, repeatedly introducing him to a wide variety of foods keeps his diet healthy and teaches him to be a balanced eater in the future. Your 16-month-old toddler needs a balanced diet composed of all essential food groups. 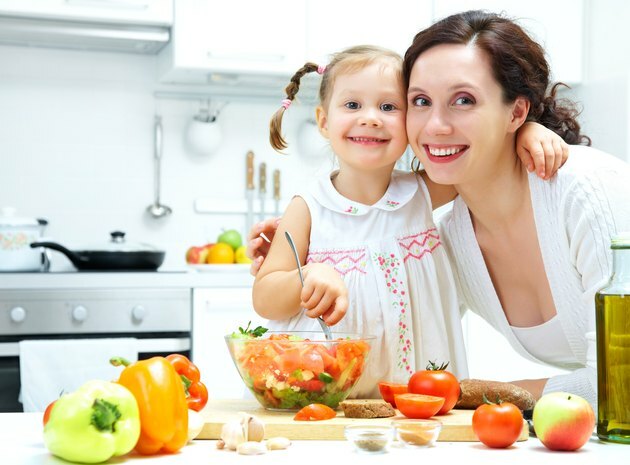 Provide her with a variety of proteins, carbohydrates, dairy, fruits and vegetables each day. Your baby can have beans, meat, fish, milk and yogurt, breads, cereals and grains and all fruits and vegetables unless otherwise advised by a physician. KidsHealth also advises offering children between 1 and 2 years old extra iron-fortified foods, such as meat, beans, tofu and iron-rich cereals. 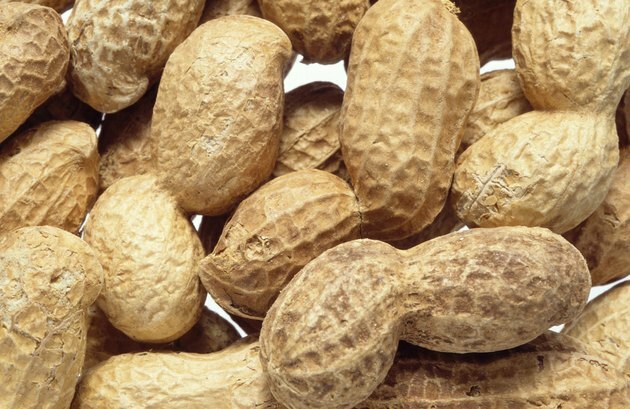 The American Academy of Pediatrics no longer suggests withholding foods associated with allergies, such as nuts, milk, eggs, soy and fish, from toddlers. 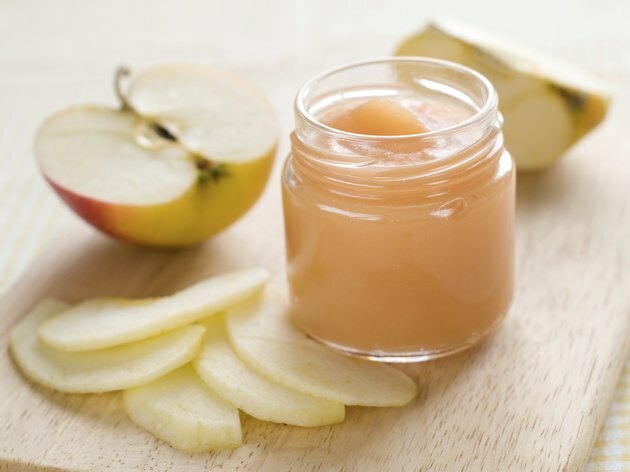 Current studies show that introducing these foods to one-year-olds doesn’t increase their risk of developing allergies. If you suspect your toddler has an allergy, or if your family has a history of hereditary allergies, consult a physician before introducing foods associated with allergies to your child. Avoid giving your child skim milk or low-fat milk because she needs the whole milk calories, and keep her diet free of foods that could cause her to choke, such as raw vegetables, large chunks of food, hard candies or nuts and peanut butter or other spreads that could stick in her throat. Toddlers need an average intake of 1,000 to 1,300 calories per day. Given the small size of their stomachs, as well as their picky eating habits and tendency to get distracted, they may need to nibble throughout the day. 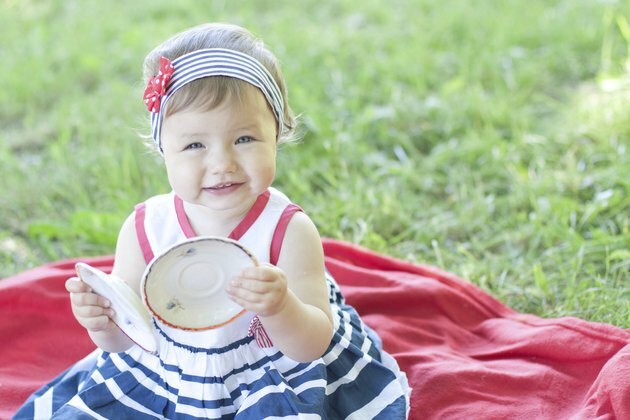 In addition to three main meals, offer your 16-month-old two or three snacks throughout the day. Don’t be surprised if he sometimes skips a meal or eats less than usual one day, as long as he maintains a healthy balance throughout the week. Toddler’s taste preferences change frequently, so continue offering foods even after your child has rejected them. Be creative with meal combinations and how you present the food to encourage your toddler to eat a wide variety of foods. Offer colorful combinations on the same plate, and cut foods into fun shapes to attract your child. Combine foods your child doesn’t like with foods he does like to help him eat them. To avoid wasting food, offer your child small portions of food, and serve seconds if she asks for more.